A major rain band has slammed Houston this evening beginning on the west and southwest side, progressing through central Houston, and now it is approaching a line from The Woodlands to Baytown to League City. It has produced tropical-storm-esque rainfall rates of 4 inches per hour (and higher), which has backed up bayous. The National Weather Service issued a rare flash flood emergency, indicative of the dire state of affairs. As a result of this, Houston on the cusp of a major, widespread flood event of that could affect thousands of homes. Only the fact that this main band has progressed slowly to the north-northeast has saved the region from greater flooding. So far, this has mostly been a street flooding issue. (Mostly). And while some bayous are teetering on the edge or overtopping their banks, for the most part the region’s bayou systems are holding. So the critical question is, what comes next? Is this it? Or will one or two more bands fire up before Sunday morning and push through Houston. So, as of 10:30pm CT, here is what we are worrying about. 1. Will further rain bands from Harvey exacerbate a bad situation? 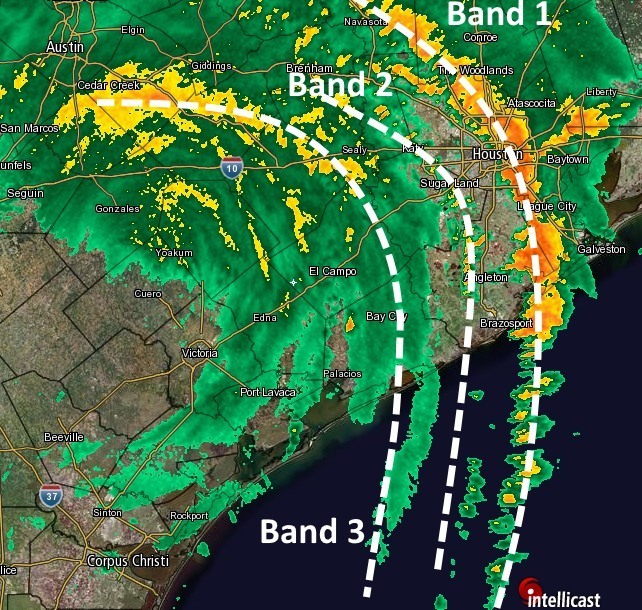 Another rain band pushing into Houston from the west within the next several hours, of similar intensity to the first band, (Band 1 in the graphic below) would likely push bayous out of their banks, and turn a major street flooding problem into a major structure flooding problem. 2. Will Band 1 slow down as it moves toward a line from, say, Humble to Seabrook, or along the Gulf Freeway? There are some meteorological reasons to think it might, and this could potentially become a devastating event for the east side of Houston. A nearly stationary line of showers producing 4 inches of rain per hour does not take long to flood structures. 3. What comes next? Tropical Storm Harvey may be weakening, but its rainmaking potential isn’t going anywhere. The latest forecast track from the National Hurricane Center suggests this. We might hope that some of its ability to produce such massive, powerful rainbands diminishes over the next couple of days. But still, it’s going to be there in some form or fashion. Alas, we’ll have to worry about this one tomorrow. We will continue updating tonight as warranted. Or as long as the beer here at Space City Weather HQ holds out. 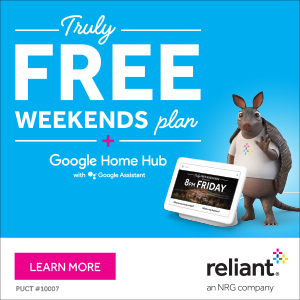 A bad situation in Houston has turned worse. Much worse. how quick do you think the storm will weaken? It is hard to say. Right now it’s strengthening. You’re the best, Eric. Thanks. Eric, you know how to bring just the right amount of light into a dark situation. Thank you and Matt again for your excellent work on this storm. Here’s hoping you can get some rest on this dark and stormy night. Does the beer diminish your abilities to give us good forecast? If it keeps you going, will boatbyou in some beer! Or coffee…whatever it takes. Thanks for your updates…they keep us all a little saner. Dale, I will assist as well. Thank you as always for your updates! My dear Fulgencio and I are working through our wine and hoping the floods are not too bad. We fear this recent band of rain might put White Oak over the edge but we will hold on in hope it does not! Peace to you and yours. 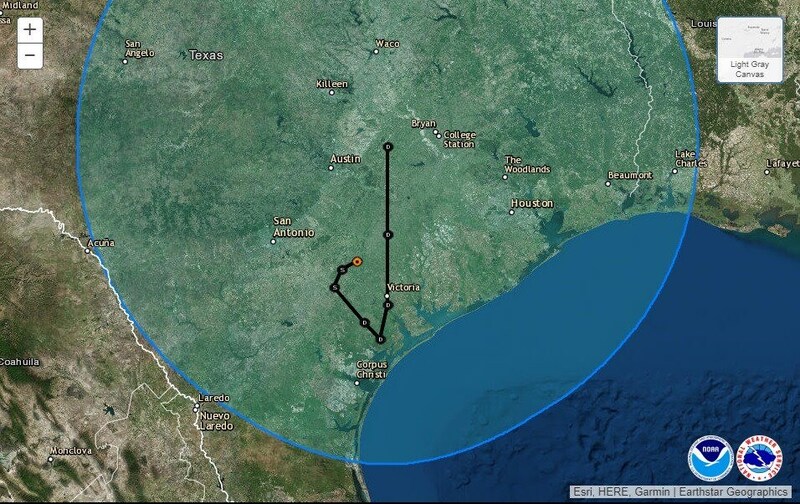 Eric I am 45 North spring woodlands area do you think we will have opportunity to evacuate further north anytime from this point on? Or are we stuck for the duration ? Hi. I just want to pop in and say thanks to both of you for your continuous efgort to keep us apprised of the weather events. I’ve turned the TV on just a couple of times and thought “blech”, I’ll just go to SpaceCityWeather. Stay safe you guys! We arrived at IAH when I started the drive home at 8:30. Worst storm I have ever driven in. Made the mistake of exiting toll road because I couldn’t see then got stuck in Spring Branch street flooding. Should have just pulled over and never gotten off the freeway. Live and learn. Where does “Band 1 comes back west” fall into the picture, which is what I just heard KUHF’s meteorologist say is coming. Thank you for the amazing reports!!! Thank you for all your updates! I’d bring you some more beer if I knew where HQ were and whether I could get there safely! Keep up the great work! I hope it’s good beer; y’all deserve it! “Space City Weather shirt”? If there is such a thing, I’m getting one!! I’d be proud to wear it! thank you for keeping us well-informed without all the hype and hysteria. Perhaps next time you can let your readers know where we can drop off beer supplies ahead of time. Where exactly is Space City Weather HQ? Do you see the motion of the storm match the models? It seems like it isn’t moving south at all. Thank you, I have no TV since the elections. You are my lifeline. Here in Montgomery my house sounds like it’s driving through a car wash. Congressman Culberson was just on Fox News talking about the storm and recommended people follow your website as a source of reliable information! Thanks for what you do, glad to see you getting the respect you deserve. Just saw a report on Nextdoor that there are folks on Gunwale in Clear Lake City with water in their house. Hope you’re doing okay, Eric. If you all let your preferred brands / flavors be known, I am sure that any beverage deficiency will easily be remedied. Thanks very much gentlemen for your tireless efforts bringing a common sense picture to a subject that effects us all and always.